There's no denying the Dodge Grand Caravan has a stellar reputation, and the 2016 Grand Caravan continues that tradition with more power and refinement than ever before. You will feel proud to be driving a minivan when it's this stylish family hauler. And the friendly staff at Premier Chrysler Jeep Dodge Ram, serving Metairie, Kenner, and Slidell will be proud to make you an amazing deal. You will see how painless we make the car buying process by offering you a great price on the 2016 Dodge Grand Caravan today! Stop by our New Orleans Chrysler Dodge Jeep Ram dealership today; we are easy to find and are located at 13000 I-10 Service Rd. You can't miss us! Let's check out how the 2016 Dodge Grand Caravan stacks up against the Kia Sedona; both of these minivans have their good points, but the Dodge Grand Caravan has a few more of them. When you have a family - large or small - you want to save all the money you can. And the 2016 Dodge Grand Caravan can help with that! You definitely won't overspend when you choose the low-priced 2016 Dodge Grand Caravan at a starting MSRP of $22,095 over the Kia Sedona, whose price tag begins at $26,400. And, for that low starting price, you will get heated power outside mirrors and a 3rd row Stow 'n Go bench, neither of which you will find on the Kia Sedona's base model. With over $4000 still in your pocket when you choose the 2016 Grand Caravan over the Sedona, you will already be way ahead of the savings game! The 2016 Dodge Grand Caravan comes complete with an engine that offers impressive horsepower and acceleration -- a 3.6-liter Pentastar V6 with 283 horsepower. That engine comes mated to a six-speed automatic for quick acceleration and effortless shifting. 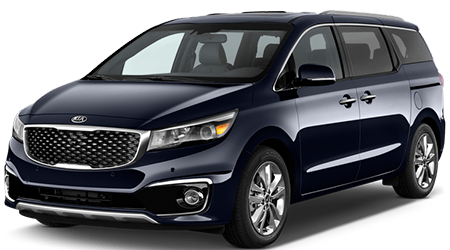 By contrast, the Kia Sedona comes standard with a 3.3-liter V6 with 276 horsepower which is also married to a six-speed automatic transmission. With the Dodge Grand Caravan, you will get better highway mileage with the Grand Caravan, which garners an estimated 25 highway mpg while the Sedona only manages 24 highway mpg. Considering how much you drive on the freeways, the 2016 Grand Caravan wins this battle. Surely, when you drive a minivan like the 2016 Dodge Grand Caravan, there will be times you and your brood will take a fun family road trip up out of town for the weekend. And if you happen to be hauling camping equipment, ATV, kayaks, or bicycles, you will be happy to know that the Grand Caravan has a maximum towing capacity of 3,600 pounds, while the Sedona maxes out at 3,500 pounds. The 2016 Dodge Grand Caravan is the towing champion and will ensure you get all of your equipment to your destination. Come down to see us at Premier Chrysler Jeep Dodge Ram today for a great deal on a Dodge Grand Caravan. 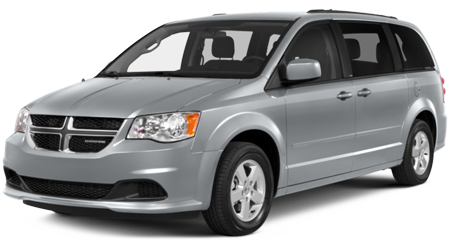 This impressive minivan is a great family vehicle and you will thoroughly enjoy riding around in its luxurious, feature-packed cabin. Our New Orleans Chrysler Dodge Jeep Ram dealership is stocked with a wide array of new Dodge vehicles and we are proud to serve drivers from Metairie, Kenner, and Slidell and the surrounding areas of LA.